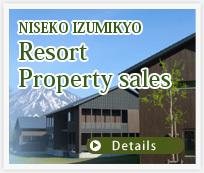 Niseko's mountain and forest views prevail from Lucus' large oversized windows.This two bedroom property provides guests with a comfortable, quiet accommodation option just outside the main village. The lower floor has an open plan dining-kitchen-lounge area while the upper floor provides two spacious bedrooms. This property is a modern blend of simple Japanese design with western comforts and connects to a similar property allowing a larger group stay. The Hirafu and Hanazono free shuttle service stops about a minute's walk from the property or walk to the centre of the village in 10-15minutes.Centrally heated in winter and air-conditioned in summer,off street parking.